• Static electricity, while often overlooked, can be a fatal source of error in precise weight measurements. 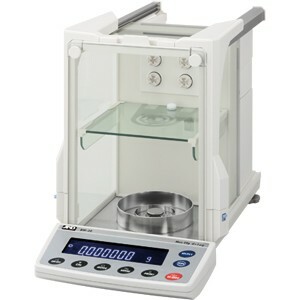 • With the BM Series, A&D seek in various ways to help you perform sometimes-tricky analytical weighing with simplicity and accuracy, including the elimination of static electricity. The world of micro grams (μg) is now accessible to all researchers! 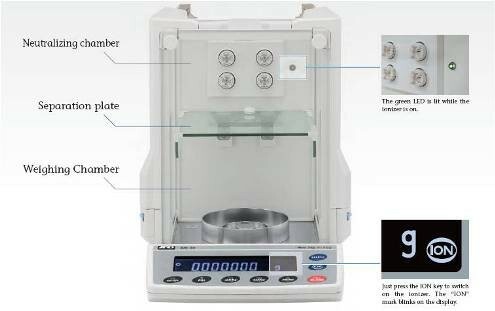 * Smart range function: The minimum weighing value will switch to 0.01mg automatically when the display value exceeds 5.1g but returns to 0.001mg by pressing the RE-ZERO (tare_ key.